What Are the Edison Best New Product Awards™? Since 1987, the Edison Awards™ have recognized and honored some of the most innovative new products, services and business leaders in the world. 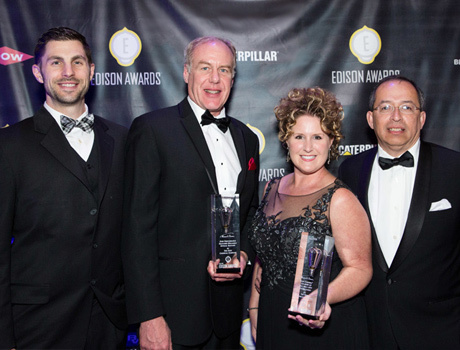 The Edison Best New Product Awards™ is an annual competition honoring excellence in new product and service development, marketing, human-centered design, and innovation. 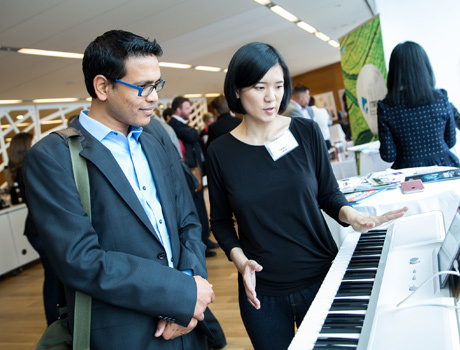 The competition is open to innovative organizations across the globe. 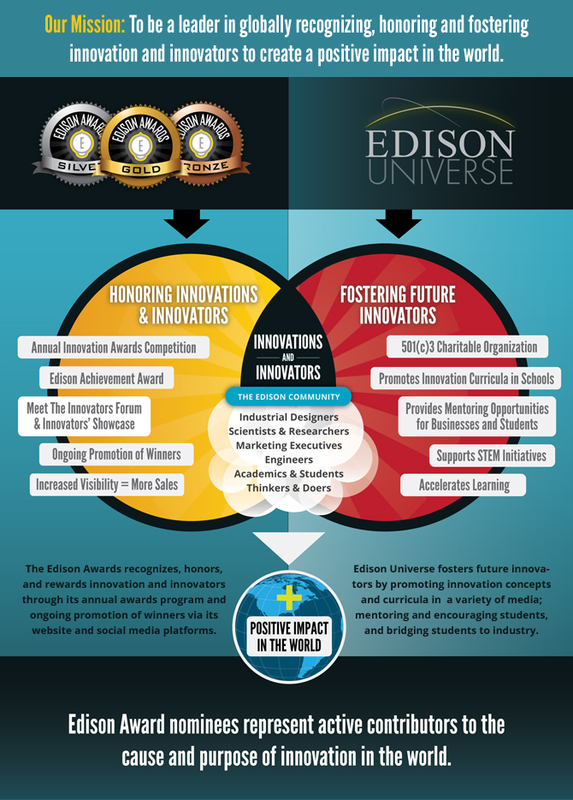 The Edison Awards are focused on the innovators as much as the innovations – a unique distinction in the world of award programs. Award winners represent "game changing" products and services, as well as excellence and leadership in innovation around four criteria: Concept, Value, Delivery, and Impact. An Edison Award represents significant value to the award winner and to the cause of innovation and highlights the strong marketing value of an unbiased 3rd-party endorsement. 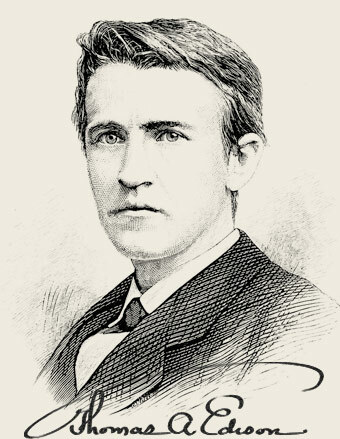 The Awards are named after Thomas Alva Edison (1847-1931) whose extraordinary new product and market development methods garnered him 1,093 U.S. patents and made him a household name across the world. 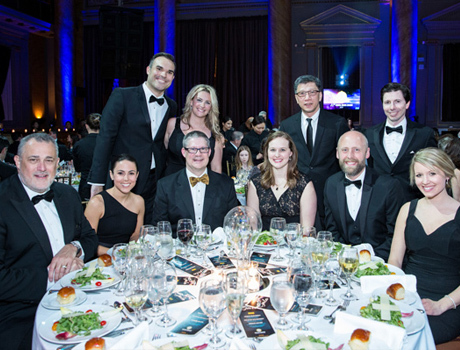 The Edison Awards™ symbolize the persistence and excellence personified by Thomas Edison and his Menlo Park team, while also strengthening the human drive for innovation, creativity, and ingenuity. 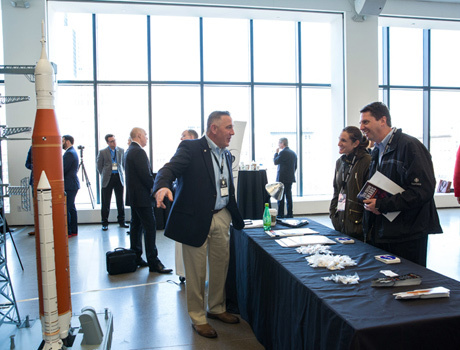 Each year, over 150 companies from all over the world are honored with an Edison Award, including Fortune 500 companies, small start-ups, and everything in between. Being aligned with the Edison Awards - one of the most prestigious accolades honoring excellence in new products and services - provides validation of the winners’ innovations in the marketplace. 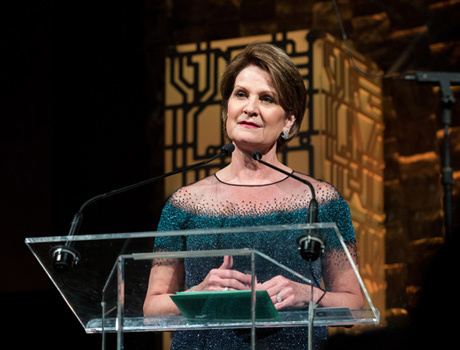 The Edison Achievement Award recognizes global, innovative leaders' contributions to and positive influences on existing, new, and emerging markets. These individuals serve as an inspiration to future business leaders and innovators. The Edison Awards Strive to Make a Positive Impact in the World. Edison Award™ nominees represent active contributors to the cause and purpose of innovation in the world. A percentage of every nomination fee is a tax deductible contribution used to help tell the broader story of innovation, advance the values and principles of Thomas A. Edison and other accomplished innovators, to fund programs and conferences dedicated to innovation and education and to fund the development of new innovation curricula. These activities are conducted through a not-for-profit, 501(c)(3) sister organization, Edison Universe. Award winners are given a unique opportunity to share their stories to a variety of audiences. These include business audiences, higher education institutions, K-12 education systems and museums focused on science, industry, innovation, etc. 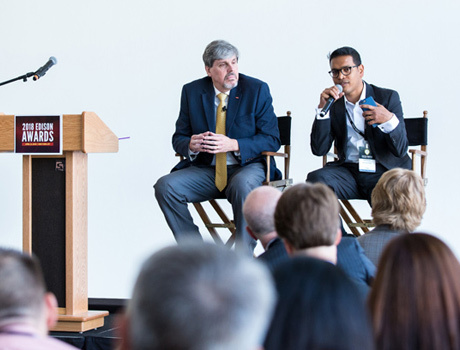 Whether through direct connections the Edison Awards facilitates to these audiences, or as a part of educational assets developed by Edison Universe, Award winners are encouraged to give back to current and future innovators through storytelling, direct teaching and communication in a variety of media.